When is a Solar System too cheap? When is a Solar System too cheap? When is a Solar System too cheap? There are numerous ways a solar company can price a system down and maintain margins, whilst ensuring you the customer suffer in the long run. From ultra high fail rate inverters to fake warranties – to cheap electrical products designed to fade and crack in the sun – its a long list and very easy to miss for the untrained eye. Have a look at this warning from the CEC in regards to brand name solar panels being sold at discounted rates. Does that ‘Tier 1’ system seem too good to be true? It probably is. “Parallel importing is the practice of importing modules without the consent of the manufacturer. Such modules are often top-quality brands sold at cheap prices. Was your quote too cheap? Are you confident that your warranties are real? Another way you will be sold a sneaky deal is by being told that the panels are ‘Tier 1,’ which is a common claim you will find on a lot of data sheets. Ironically enough, usually on the ones which arent number one for anything at all. By volume the consistent winners are Trina and Yingli. By performance Sunpower, LG and Kyocera are all superior panels when compared to the primarily Chinese market, but the extra cost rarely demonstrates even the same amount of return. Solar panels should therefore firstly be selected on reputation and price, and secondly on efficiency per square meter. 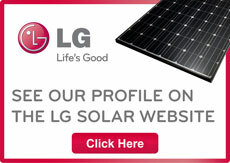 It is in the second instance that brands such as LG shine through. This is where some serious amounts of cost cutting goes on via the slow boat from China to further reduce install costs. So you get a tube of silicon for a dollar, tin saddles for a few cents each, and circuit breakers which in several cases have being recalled and literally caught on fire. A racking system has two aims. Too support the solar system against weather effects and hold it all in pitch and orientation. It should also aid in heat dissipation by having good room for airflow underneath, and allow for concealment of high voltage DC cables otherwize run directly against annondized aluminium. Its not pretty when the insulation fails and the two meet. So we see racking systems which are screwed straight to the roof, or that are just mades up of bits of box steel and prone to rust. Pretty much none of them have ducting for cabling and many have dubious cyclone ratings. These items have become one of the highest causes of fire in Queensland, and have being the subject of several recalls from both unknown and known brands. Costs between something like ABB and a ‘Lucky Dragon’ differ by about $50 and a 5kW installation will use 4 of them so its not surprising that they are targetted for cost cutting purposes. A quality installation will use a brand name isolator, and install Sun Shields over them to provide weather protection.